In our cache of internet tools, social media SEO is becoming one of our fastest growing, on-line marketing initiatives. Social media marketing refers to the process of gaining website traffic or attention through social media sites like Facebook, Twitter, LinkedIn, etc. Social media marketing programs usually center on efforts to create content that attracts attention and encourages readers to share it with their social networks. A corporate message spreads from user to user and presumably resonates because it appears to come from a trusted, third-party source, as opposed to the brand or company itself. Hence, this form of marketing is driven by word-of-mouth, meaning it results in earned media rather than paid media. A few years ago, it would have been unthinkable to even use search engine optimization (SEO) and social media in the same sentence. Social media sites like Facebook were considered a social not a business venue with limited application or value to business operations. Not any more! Recent algorithmic changes by both Google and Bing to validate the quality of the social media content found on websites means social media is growing in importance. Search engines are now looking at the "authority" of the account holder and placing more importance on any links posted on sites like Twitter and Facebook. Those that make the grade are being rewarded with improved search engine rankings - even for regular searches. At TJ21 Media Group, we offer a full range of social media marketing services for your business. Whether you are a small start up company or a corporation with 10,000 employees, we can help brand your business online, engage customers and boost sales performance. Combine our strategic professional video services with our creative web development along with social media integration and watch your web presence grow beyond your expectations! As the desire for the instant gratification provided by mobile devices and social media increases, so will the number of people accessing social media on their smartphones. The number of social platforms is also set to increase. From the success of Pinterest in 2011, many experts predict that more multimedia platforms are in the mix and will dominate the market in the coming years, making high quality content, image and video creation more of a necessity. While the future of social media is hard to predict, one thing is for sure; social media is not a fad that is set to go away anytime soon. Instead, it is an important new marketing strategy that, in order to be competitive, small businesses need to embrace fully. 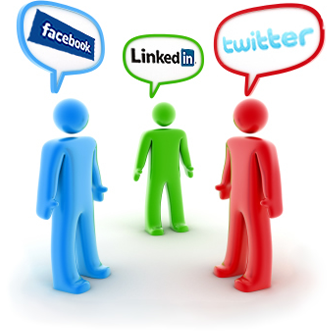 To learn more about how TJ21 can help boost your online social media presence, please contact us today.